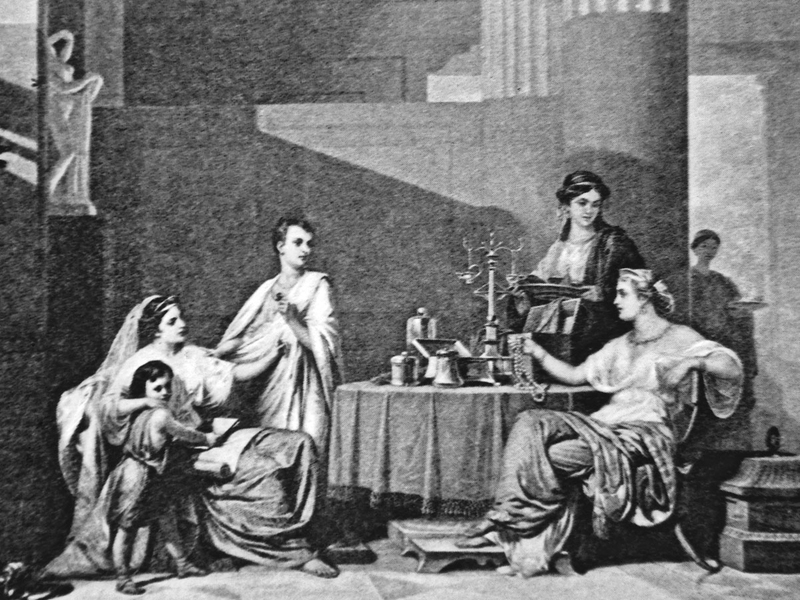 When we think of ancient Roman dining we envision people overeating until they got sick. This idea is further supported by the vomitorium rooms that were maintained in the coliseums. However, not all of the Roman citizens gorged themselves at lavish dinner parties. In fact, the average citizen did not participate in the endless cycles of eating and vomiting that we read about in history texts. This was largely do to the economics of this time period. Eating excessively was restricted to the rich because food was expensive and gorging would have required more money than the average peasant could afford. This especially applies to meat. The average Roman citizen ate three meals a day. Most of the vegetables and fruits that they ate are the same ones that we eat today. The most popular drink at this time was wine that was mixed with honey and water. Even the children drank it. They also had milk and beer. Only children drank milk. Breakfast was usually fruit, cheese, and bread. Like today, lunch was served at noon. It featured bread, eggs, vegetables, and occasionally fish, pork, or poultry. Dinner was the largest meal of the day, and it was three courses. Dinner started with appetizers, and then proceeded to the main multi-course meal. It was usually eaten in a dining room which was called the triclinium. The triclinium featured multiple sofas or couches for relaxing and a dinning room table with chairs. During the time period in which the Roman Empire ruled the world, elegant and expensive dining became the norm among the elite Romans. The most famous of these elite Romans was Lucius Licinius Lucullus. Lucius who was a retired public servant, was known to throw dinner parties that cost so much money that the expense startled his guests. Dinner at his house included entertainment, dyed tablecloths, serving pitchers decorated in gemstones, actors reciting famous verses from plays, and every kind of exotic food imaginable. His home had several dining rooms, including one that was very elegant. He called this room the Apollo. Each of his dinning rooms had its own staff, table settings, and budget. He was known to entertain the top Roman political leaders including Pompey and Cicero. They were both amazed at the cost of the elegant dinners. Lamprey was the most prized item on a Roman banquet menu. Lamprey looked very similar to eels, and can grow up to four feet. They were imported from Sicilian waters and called “floaters” because they swim near the water's surface. Lamprey were scooped off of the top of the water by fishermen who caught them with their bare hands before tossing them in the boat. Julius Caesar liked them so much that he celebrated one of his greatest victories by treating his men to 6,000 pounds of the plump fish. The Romans raised them in ponds for profit. Lampreys were followed in popularity by sturgeon which were prized for their meat and eggs(caviar). The third most popular item was wild boar. Prior to the 1st century no one ate boar. However, by the next century preparing a whole boar became very popular at elegant dinner. Sometimes as many as three whole boars were served at lavish dinner parties. Another very popular dinner item was the brilliantly colored fish called wrasse. Wrasse became so popular that the Romans stocked their coastal waters with the fish.